My new book is out! 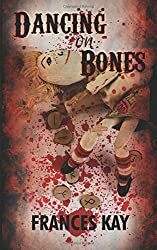 DANCING ON BONES is the sequel to DOLLYWAGGLERS, published in 2014. 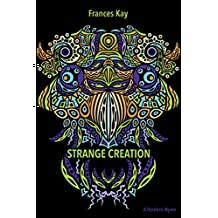 Since then I have published STRANGE CREATION, a long short story, as an ebook in 2015. If you like dystopia born out of darkness and chaos, with a political twist, then try my two futuristic books. 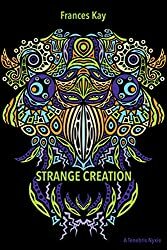 Delighted to say that Strange Creation comes as a bonus inside Dancing on Bones. Two for the price of one! What are Dollywagglers? A dismissive name that some puppeteers call others. Once upon a time I was the voice and puppet of 'Cosmo' in BBC TV's 'You and Me' programme. My own children were young enough then to give me expert advice on what to put in the scripts. Dollywagglers owes a lot to the seascapes, fields and woods of Suffolk, where I lived for many years; NUTMEG PUPPET COMPANY appeared regularly on Southwold Beach, and I was lucky enough to play a pirate, a female knight and Queen Boudicca in our puppet and actor beach shows. 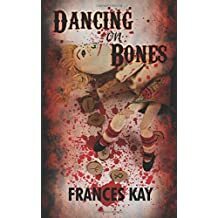 DANCING ON BONES reflects my recent connection with Wales, a country I have come to know and love through friends and family who belong there. 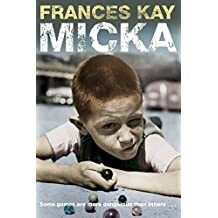 Until 'Micka' was published, my writing was all for theatre and mostly for children. My most recent play, 'A FEAST OF BONES' will be part of the Imaginate Festival of children's theatre, Edinburgh, in May 2018. 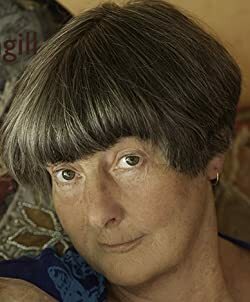 Writing gives me a chance to explore my obsessions - bones, early twentieth century Antarctic expeditions, dystopias, Ancient Rome and the secret lives of children, amongst others. 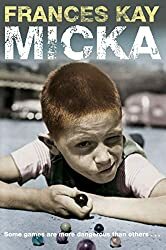 'Micka' was partly inspired by children I met on adventure playgrounds in Birmingham, Edinburgh and Tyneside, as well as Walsall and Perth, where I worked on two projects with travelling families. The boys who tell the story are composites of many children I knew growing up in the toughest part of Notting Hill, together with elements of myself. 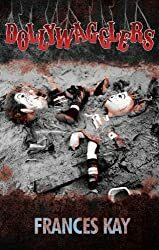 The challenge was to speak in the voices of two very different boys, and to create a fictional world where empathy and compassion were, for both of them, almost completely absent. It's not a happy read, I know, but I believe there is a possibility of redemption at the end. If you read and enjoy my books, please do three things: leave me a review on Amazon - these are worth their weight in gold! And please ask your local library to get a copy, and finally, tell ten other people if you liked the book. Word of mouth is the very best way to let people know about the existence of these books. With 2,000 published each week, it's hard to make a splash.